Many years ago, I heard of something called the Disability Tax Credit. As I read the qualifications, I thought that my son easily qualified. As I continued, I found out that getting the Federal Government to understand that my son easily met their criteria for the Disability Tax Credit and that he definitely required Life Sustaining Therapy was much harder than I ever imagined. My decision to apply and fight for this right would take me on an incredible journey that would allow me to meet many individuals and impact more lives than I ever knew. I first heard about the Disability Tax Credit through the Tyler family website in early 2003. I took a lot of information from their site and then began contacting people. The T2201 stated that I needed to have it signed by my son’s physician. I sent him a detailed letter asking for his help. His first reaction was to decline. He said that he had filled out these forms before for other patients but they had alwasy been declined. I asked him to reconsider. try he would do what he could to help. He then based his letter of support on the ones I sent. I then contacted our Diabetes Educators. While they are not listed on the T2201 form as qualified medical personnel, I felt that their professional opinions could only help our case. Of the two people I asked, one did send a letter of support. The other was uncomfortable with the label of disabled and declined to help. I understood this position and was not upset. The labelling issue is a complex one that each person must deal with on their own. Finally, I had to write our letter. Why should we get this credit? I thought it was obvious that I spend more than 14 hours per week on care. I have timed blood glucose testing. It takes at least 2 minutes. I multiplied this by 10 checks per day. That totalled up to 20 minutes. This is done 7 days per week so that was already 140 minutes (2 hours 20 minutes) out of the required 14 hours. I then timed the treatment of hypoglycemia, hyperglycemia, food preparation, insulin preparation, and logging. The time quickly added up to well over 14 hours per week. Next, I looked at the concept of Life-Sustaining treatment. Without insulin my child will die. In case someone didn’t know this, it became very apparent to me on March 17th, 2000 when he was diagnosed. They gave him 24 hours to live but hoped that the IV of insulin would save his life. It did. Armed with this knowledge, I began our letter, edited it, compiled our tax package for 2003 and sent everything in. May 13, 2003 we received our first letter from Revenue Canada. It simply stated that they have asked their medical advisors to review our claim. If we wished we could have our claim processed without the tax credit and then amended later on if required. We decided that we would wait. It was felt that this may show our confidence in the fact that we will be getting this credit for our child. August 22, 2003 we were denied our application. I was devastated but not deterred. The following week we asked another doctor to write another letter on our behalf. He did this and we sent it to the appeals division of Revenue Canada. On October 2, 2003, we had completed our appeal letter and forwarded it onto the Appeals Division as well. In going through this process, we began to also realize how unjust the process was. back down. Despite this, their children are all afflicted by the same disease requiring a similar dedication to care. It was with that in mind that copies of our appeal were also sent to two MPs from our province asking that they look into having a uniform system in place. I urged others to do the same thing. And remember that no postage is required. We received a letter from our Member of Parliament. It was a copy of the letter he had sent to Revenue Canada Appeals Division on our behalf. In it he stated “It would appear that the situation clearly merits eligibility for a disability tax credit. I would kindly review this file and respond favourably to their request.” Hopefully, this will seal our case and we’ll see a refund in the mail soon. None of us should have to go through this. Please write your MP, ask them to change this process. voice heard on this issue and brought before this panel. We received a phone call telling us that our appeal has been denied. The “judge” felt that insulin was not Life Sustaining. That was not what we were told on our first denial. We were then told only that our son’s care did not take 14 hours per week. Once we proved that, had doctors and our MP back that, they have decided that we again do not qualify. I am livid. This is ridiculous. Why do some people receive this credit for those with Diabetes and others get turned down? This MUST change! This is insane. Insulin has to be delivered on a daily basis. The time involved to calculate proper balances of insulin, exercise and diet definitely take more than 14 hours per week (this was certified by both doctors). Without insulin our child cannot perform the basic activities of daily living. Even with insulin, hypo and hyperglycemic episodes leave him unable to perform such activities. I guess we will have to try and find a lawyer who will help us at minimal costs should we wish to continue the fight. I am planning to take this up further with any interested media and again with my MP. I have been informed of another family who have won their fight for the DTC. That is wonderful but none of us should have to fight! Please continue to lobby your MPs for change. As for our own case, I will begin to gather facts, cases, etc and see how we go about filing to have our case heard. I still hope that one day this credit will be changed to something more equal and beneficial to all people living with Type 1 diabetes. Am I alone in finding this statement alarming? A government agency whose minister has no power over it? A Minister who cannot rule on decisions and yet his/her name is signed to your refusal? I just don’t understand. This weekend I spoke with an incredible person who has dedicated much time and energy to fighting for the DTC. This person has now decided to add Type One Diabetes to the growing coalition of people who should receive this credit. Our case will be presented before the Technical Advisory Committee to further help them understand the injustice of it all. I was also given some tips on filing our latest appeal. Most importantly I have found another voice who feels that those living with Type One Diabetes DO meet the DTC criteria for Life-Sustaining therapy and care does take over 14 hours per week. It was further noted that if it were to ever actually reach Tax Court, our battles would be over. No lawyer is needed, simply the letters from our health professionals and our own testimony as to what a day is like. This is a compilation of six months of efforts. Unfortunately, the actual entries were somehow lost. I hope this will still help you to the journey to date and that you will be willing to help us as we work to eliminate fights such as ours. So to continue from back in February, here is how things unfolded for us….. This spring our specific case was presented to the Technical Advisory Committee. It was an opportunity to expand awareness of Type 1 Diabetes specifically. It also became a time to teach people what insulin pumps are, how they are used, and most importantly–their high cost in this country if you do not have adequate private insurance. families actually go through on a daily basis. Our request for a copy of our tax file under the Privacy Act was granted. We were missing one key piece of information that to date has not been found. The file was surprisingly sparse. With the exception for a few small comments, we could find no great medical testimony regarding why our case was denied. The bulk of the file contained documents that we sent, medical evidence was mainly sent in by our doctor’s, and notes were from our correspondence. Thanks to the wonderful families and lawyers out there who support our cause, we received copies of a late-breaking case Sullivan vs the Queen. This was yet another case that clearly defined therapy as more than time spent injecting and further indicated that a person with diabetes was impaired in the Basic Act of Daily Living. The ability to feed themselves was impaired and they are receiving Life-Sustaining Therapy. By June, my nerves were raw and a date had finally been set for our hearing. We were to go to court in mid-July in Gander (about a 5-hour drive from our home). I had a lot of work to do and set about gathering our evidence. As I worked, I was told that we could have our hearing rescheduled to be heard closer to our home and more importantly, closer to our doctor as he would be called as our expert witness. I contacted the Tax Court and they were fabulous! They told me what I needed to do and felt that the change would not be a problem. The best news was that our date was now moved to August. This gave us much more time to get organized. And organized we got. With the help of incredible people, we had binders of documents organized. All of the applicable cases were referenced. We prepared to subpoena Liam’s doctor but were shocked to find that CRA had done it already. What would he say that would help their case? He signed the form in favour of us getting the credit! We were very confused but no longer had to drive to deliver the subpoena or pay for his time in court. Nonetheless, we did pay for him to complete a Medical Report for us. It was fabulous! It further told what we all know–diabetes is a serious, chronic, and life-threatening disease that requires Life-Sustaining therapy in excess of 14 hours per week. The final week before our court date arrived and still no word from CRA lawyers. I was both confident and scared. We had an unbeatable case. Why had they not backed down yet? Did they know something that we had missed? We were given the name of the judge who would hear our case. I knew it–we had won!! This lady had already ruled on this case in Tammi vs the Queen. Why would she change her mind now? Friday August 20, 2004 at approximately 4:15pm local time we got “the call” The lawyer for Revenue Canada had finally looked at our case and saw no way to win it. They had finally backed down!! WE HAD WON! This scrimmage was over and justice was done!! I had. They may become intimidated and back down from what was rightfully theirs according to the legislation. I was also proud of myself. I had stuck it out. It was another victory against the Canadian Revenue Agency! I had also brought awareness of this issue to another level. This was not finished by any stretch of the imagination. From this point on, I would continue to share what I had learnt. It was important for me to help anyone who would ask and to continue to work with others to try to create real change in CRA policy. I told you I wasn’t done! My journal continues…Thank you all of those who have answered our poll and who have kept us informed of how your cases are progressing. We ARE making a difference. I have been told that cases of Type 1 diabetes applying for the DTC have been put on hold pending an internal review of the CRA’s policy. Please, keep on the pressure. Keep applying. We can only hope that CRA will do what is right according to the legislation and begin to grant the DTC to all people who are using an intensive management system. I continue to wait to see the financial rewards from my fight with CRA. Our out of pocket expenses and our actual tax credit have yet to be refunded. When I called CRA, I was told that it would take 12-16 weeks from whatever date the request for an adjustment was made. Because the claim was not made under my name, no specifics could be given. I do hope we get our money before Christmas!! I also remain hopeful that we will be given the credit for an extended period of time and not have to battle this again next year or even five years down the road. stating that those on insulin pump therapy who are using this method of delivery out of “medical necessity” rather than a lifestyle choice would be eligible for the DTC. I would caution applicants that this is not a “get the credit with no hassles” card. CRA may still turn you down. Ensure that your doctor notes on the initial application that the pump is a medical necessity. In some cases this has not been necessary but I have yet to see any case involving Type 1 diabetes that was given the credit simply by applying for it. There seems to be a battle involved in every victory. If you are the exception, please tell us how you did it or if you feel that the tides are changing. Once again, no matter what intensive insulin management system you or your loved one uses, PLEASE make your application. Follow the process. Fight for what is yours. If you would like to see how others have done it, please contact us or use any of the templates provided on this site. Outline your position. Explain your intensive management system and the time involved. We will all win this fight! I am still waiting to hear from CRA regarding the money owed to us for our DTC claim. In the meantime, the Technical Advisory Committee for People with Disabilities have released their final report. I look forward to reading their recommendations and hope that the government will seriously consider their recommendations. Last week we received a sum of money from CRA. Based on the amount deposited, I can only assume it reflects the tax year we fought for and nothing more. I am having to wait for further information until the holidays have ended. In the meantime, the Technical Advisory Committee has made a key recommendation regarding life-sustaining therapy. I have encouraged anyone interested in this issue to write to their MP and the Ministers of National Revenue and Finance. We MUST have them implement Recommendation 2.5 which asks that CRA follow the guidelines established both in the informal Tax Court rulings and the CDA, ADA, and CMA guidelines on therapy for Type 1 Diabetes. Please write your MP. Have your friends write. Have your support group write. This is our big chance to see real change!! judgment, nothing more had been done with our case. When they denied our claims they were quick to send reassessments for every tax year from 2000 on. When we won our decision and our Judgment stated that my son did receive Life-Sustaining Therapy in accordance with Section 118, but we only get the money for that one year. Oh my nerves!! Obviously, the issue is being looked into and hopefully will be resolved soon. I am hoping that I am the exception and not the rule. I have never seen a case handled as our’s has so there is still hope for everyone else. In the meantime, I am still writing letters and encouraging others to do the same thing. We must maintain pressure on the government and see Recommendation 2.5 accepted. CRA MUST have to follow the guidelines repeatedly set in the courts. Well, it appears that as far as CRA is concerned our case is basically closed. They do not feel that they owe us anything for the years 2000 and 2001 because we won our case without a court judgment. They interpret the legislation to state that we are therefore not entitled to the DTC for previous years. As for the 2003 tax year? We will have to reapply for the DTC for that and subsequent years. just a dream? Does my son no longer have a life-threatening chronic illness? I think not. I guess its back to the drawing board. The war rages on but we won’t give up. We will win. We are quickly working to gather cases to prove that CRA is wrong in their interpretation of the tax law. I truly hope that the situation that we are facing is unique. I can’t believe that we would have a government that would regularly put their people through such duress. CRA has changed its mind and has given us the DTC for the years 2002-2012. They will not allow our applications for 2000 and 2001. We will still have to look at either going back to Tax Court or applying to the Minister for assistance on this matter. And so the battle rages on…..
On Friday we received a phone call from a gentleman from CRA in Ottawa. Who specifically he is has yet to be determined. He told my husband that he was a senior official but basically told me that he was just an employee. He called while I was at school dosing Liam’s insulin. My husband told him that he would have to discuss the issue with me. Later that afternoon the two of us connected. He explained to me that he was following up on one of my letters to my MP, Minister of Justice, etc. He then told me that he had referred my case on to the DTC unit in Ottawa for further review of the 2000 and 2001 tax years. They were holding firm that we were not entitled. According to this gentleman, the Consent to Judgment was worded wrong and did not entitle us to any further compensation for previous years. He stated that the Consent to Judgment only allowed 2002-2012. Now we know that that part is not right. The Judgment states that we are allowed no further compensation beyond 2002. That is standard. It reads the same as two other Judgments that I had in front of me. I read them to him, asked him the difference, but he said that they were different cases. Okay, I moved on. Our Consent to Judgment didn’t entitle us to 2003-2012. We had to argue with CRA to get them to implement that. They wanted to send us back through the system for each year. I questioned if our next options were then to either seek a new judgment from the Minister or go back to Tax Court? He said yes, stating that we have a very good case but going to court would be very costly. I informed him that it is not about cost. It is the principal and the fact that no one should be dealing with what we are. He asked to be able to close our case. To state that he had looked into things for us and had contacted us. I told him that was fine. How frustrating these people can be!!! The only thing that our Consent to Judgment has that is “unique” is the fact that it specifically states that my son requires Life-Sustaining Therapy in accordance with the act. I pray our case is unique in its treatment because this is too frustrating to deal with if you don’t have a vast and incredible support network standing behind you. I thank you all for providing that to me! Thank you to everyone who wrote, petitioned, and emailed!! We have done it!! We truly have won a huge battle against CRA!! I am still floating in the clouds! I now know that a few people truly can make a difference!!! There are still many small battles to be won–including our own battle to receive the credit for 2000 and 2001, but the main fight is won! WE HAVE DONE IT!! “The Canadian Diabetes Association argued strongly that it is the insulin that is the life-sustaining therapy, and encouraged the inclusion of medically-necessary activities such as blood glucose testing and injection preparation as part of the 14-hour requirement. First I must again preface that this is simply my opinion. It is my feelings and reflects nothing else. I do not mean to discredit or disrespect any person or organization. This is simply how I feel about this issue…. This press release really bothers me. It could simply be because I was up most of the night dealing with my 7 year-old’s hypoglycemia and am overtired and therefore over-sensitive. I hope that is not the case. I am truly offended that the Canadian Diabetes Association has stepped in at the very last minute and is now claiming that they are basically responsible for the changes we are seeing in the DTC right now. They are not acknowledging the families that took CRA to court and fought for their rights. They are not acknowledging the many family and friends who gathered together through the Diabetes Advocacy website and lobbied government for change. As a dear friend pointed out, who said life was fair? So true! This feels like the house painter stepping forward and taking the credit for a beautifully built home. Yes, he played an important part but it was just one part. The entire project belongs to the group not just one person (or in this case organization). When I first began this battle, I contacted my provincial office of the Canadian Diabetes Association. They informed me that they did not agree with the Disability Tax Credit being used by people with Type 1 Diabetes and could not be of assistance. What changed their minds?? I wish I knew. Maybe a nap will clear it up for me! Good blood glucose levels to all! I have had a few days to calm down a little and have received a lot of feedback on the above “CDA Issue”. Thank you so much for the kind support so many of you have offered. A few days after this mess began, a reporter called and interviewed me about my particular case. He didn’t ask about my role with Diabetes Advocacy or the work that we had done regarding the DTC. It was simply a personal story. After the article ran, I emailed him and made a few comments. He had of course contacted the Canadian Diabetes Association for their take on the issue and we know what they had to say. In my follow up email, I told him my version of how the pending changes came to be. He noted that when speaking with the CDA, they did not seem nearly as knowledgeable about the issue as I was. I wonder if that could be because one of us has actually dedicated a lot of time and energy to the issue and the other has stepped up at the end? Okay, that is probably a little catty and very petty but …..
Oh well, as many of you indicated, those people who matter know exactly who worked for this. Those who count know who is working to see change. 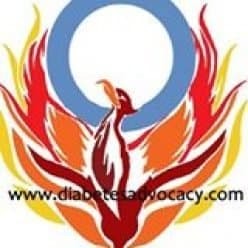 Those who count are working alongside of me and together we will see a lot more changes for adults and children living with the horrible disease they call Type One Diabetes. Thank you all again from the bottom of my heart!! You keep me motivated and on track. The CDA has since apologized for appearing to take credit for work begun by me. In later releases, I do feel that they were more specific in stating that they have been brought on board by the federal government to help clarify how the DTC will or should be applied to those living with Type 1 Diabetes. As we both have a common goal–seeing financial help for those living with Type 1 diabetes, we have agreed in principle to work together on this issue. We have sent in our Notice of Objection regarding the 2000 and 2001 tax years. I am sure that they will reject our arguments–I don’t see why as we made wonderful, sound legal arguments but this is CRA so what can you say! We will continue with the process and see where it takes us. If it takes us back to court, we are ready to go that route as well. Never have I watched federal politics as closely as I have over the past 6 months. I held my breath yesterday as I listened intently to every vote being cast. My son asked why I cared about the budget. I explained that I had $35million and a lot of work riding on this budget and I desperately wanted to see it pass. again. I will not rest until it is law and CRA is properly applying it to Type 1 cases, but we are successfully through one more hoop! The CDA partnership seems to be working. They are keeping me in the loop and hopefully that means that I am able to keep you as up to date as possible as well. We are still waiting to hear a ruling on the years 2000 and 2001. Our case is currently before the Fairness Committee. We hope that they will, in fact, deliver a fair decision on our case. We have since received a letter stating that our case is again under review by their medical experts. The insanity continues! We have been denied again but are looking at our chances of being heard in Tax Court again. The battle rages on! We have received notification that our case will be heard. We will now begin the process of preparing to take the fairness issue to court. One step forward and thirty steps back! In my personal case, the Tax Court of Canada has agreed to hear the issue that the CRA’s refusal of our 2000 and 2001 tax year goes against their own Fairness legislation. The step forward, I was told that all children applying, under the age of 15, regardless of insulin regimen will currently qualify for the DTC. That is great news but they still just don’t get it! The Canadian Revenue Agency doesn’t want to count carb counting. They don’t want adults. It seems that CRA just doesn’t want to understand what Type 1 diabetes really is!! Further, they don’t want to part with our money! I am so frustrated right now, I can’t see straight. I just don’t know what do to. It feels like we are worse than back at square one. We are now negative a few steps! We have received our notice from Tax Court. We had requested a change of venue and appointed my angel here on Earth to be our agent. They have granted both requests. Now we wait to see what sort of trouble we stir in 2006! The government is slow. The insanity is overwhelming but somehow we still plow through right? Thanks to those angels who pick us up and keep us kicking!! Its funny, I am looking back at how long our story as been ongoing and its no wonder I am tired and want to just bang my head against a wall for awhile!! dealt with by the Fairness Division of CRA. Funny, but we wondered the same thing!! Round and round we go! Right now we are waiting to see what documentation CRA has on our case to date. We had asked that the Fairness Division review our case back in the spring or early summer!! We got the standard rejection letter one gets with an initial application and therefore moved on to the Court option. No wonder people give up!! They try so hard to wear you down! It’s insane!! Our story has yet to end. On a positive note, we have seen CRA begin to accept that children with Type 1 diabetes do take more than 14 hours per week in order to administer Life- Sustaining Therapy. They have also agreed to allow adults with a doctor’s letter to receive the credit. We have made tremendous victories on a national level. On a personal level, CRA officials continue to deny our claim to the years 2000 and 2001. The biggest irony is that if they had allowed our credit, we would only be entitled to a maximum of $3000. The time and money they have spent denying us to date must be at least ten times that amount!! Oh well, we will continue to fight until all our avenues have been explored and denied. We are going back to Tax Court! I know it’s hard to believe after all that we have gone through, but it is true. CRA has refused to give us the DTC retroactive for the 2000 and 2001 tax years. Why? Because we won our case for the 2002 tax year. In a written statement, a senior official said, “The CRA’s policy for years…does not… allow retroactive application of court decisions.” As far as they are concerned, they don’t have to pay for years prior to our 2002 Tax Court decision. To date, we have filed a Notice of Objection for the 2000 and 2001 tax years. We are still waiting to hear back from them. If they deny this request, then Tax Court will be our final option. November 18, 2005: We have received notification that our case will be heard. We will now begin the process of preparing to take the fairness issue to court. February 20, 2006: A letter from the Tax Court suggests that this should have been handled by the Fairness Division of CRA. March 1, 2006: As we do not yet have all of our documents back regarding how CRA handled our case when we asked it be presented to the Fairness Division, we have been granted an adjournment beyond our March 6th court date. July 14, 2006 We have heard from the local CRA office. Once again our request under the Fairness review has been denied. The reason that the request was denied is because of the policy CRA has adopted not to allow the DTC prior to 2004. We will keep plugging on and hoping for the best!! Our fight is officially over. CRA will no budge on our case. To proceed would mean the involvement of high priced lawyers. I am going to direct my energies elsewhere. We have been unfairly treated but we have caused a lot of change. For that we will be forever grateful–that remains my biggest victory. That was my goal when I began this journey. I will continue to ensure that the standards we have fought for will be maintained.